Have nothing to fear in MCR's Halloween inspired tank top. The black cotton custom cut muscle tank top features the "Scary graphic" from The Black Parade era. Classic MCR design alert! Have nothing to fear in MCR's Halloween inspired tank top. 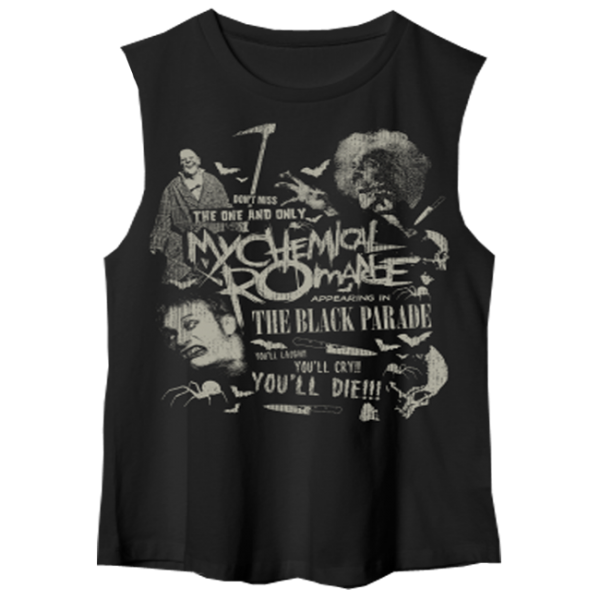 The black cotton custom cut muscle tank top features the "Scary graphic" from The Black Parade era.